You could save hundreds of dollars per year on your auto insurance by taking advantage of various discounts. Auto insurance discounts come in all different shapes and sizes. Rewards for safe driving and anti-theft devices can be quite large, while discounts for attending driver training are relatively smaller. 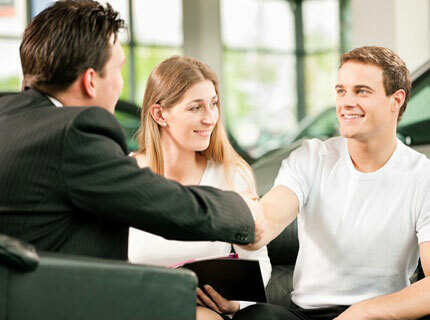 Sometimes, all you need to do to receive a discount is talk to your auto insurance provider. By understanding your policy, and bundling your life, auto, and house insurance plans together, you can also save a significant amount of money. Auto Insurance - The Best Rate And Plan? Auto insurance is a legal requirement in every state. For this reason, people all over the country can save hundreds of dollars every year by taking advantage of various discounts. Here are a few of the easiest ways to save a bundle of money on your auto insurance. Increase Your Deductible – One of the most obvious ways to reduce the cost of your auto insurance is to increase your deductible. By offering to pay more per collision in exchange for a reduction in your monthly rate, you are essentially betting your driving skills against your chances of a collision. However, if you have the safe driving record to back it up, then this can be an effective way to reduce your auto insurance rates. Bundle Insurance Together – Many people overlook the fact that, by buying their home, auto, and life insurance from one single agency, you can often get a reduction on all three policies. Of course, this also makes your insurance policies that much easier to manage, as you only have to deal with one agency. Regularly Review Your Coverage – As your life and vehicles change, so too should your policy. To ensure that you’re not overpaying for your plan, regularly check your plan. Be sure to understand each and every part of your plan, and get rid of any policies that you don’t need. Don’t Let Your Insurance Expire – If you’re one of those people who doesn’t worry too much about renewing your auto insurance on the day it expires, then you are likely being charged more than somebody who keeps their policy constantly up to date. Why? Statistically, drivers who don’t keep their insurance up to date are far more likely to be involved in a collision than those who are careful about renewing their policy – even if they never actually drive an uninsured car. Go To Driving School – This tip may only apply to new drivers and drivers over the age of 55. By going to driving school, many auto insurance agencies will give you a small discount on your plan. While this method requires a small upfront investment for driving school tuition, it will quickly repay itself in the form of 5 percent or 10 percent annual discounts. Of course, taking a good defensive driving course will also help you avoid serious accidents. Drive Less – The more you drive, the higher chance you have of experiencing a collision. To reflect that statistic, auto insurance companies charge more based on your annual mileage. So, if you can easily avoid driving a few extra miles per day, then you could save hundreds of dollars per year. Remember, small sacrifices can add up. Ask Your Insurance Provider – Like most companies, insurance providers are hesitant to hand out discounts to each and every customer. However, in many cases, all you need to do is ask. Talk to somebody at your insurance agency to find out if there are any discounts that you’re not taking advantage of. Males are involved in 50% more of the automobile accidents - on average. Teens account for only about 5% of the drivers but about 22% of the accidents. People between the ages of 35 and 44 represent 21% of the drivers on the road, but only 16% of the accidents. Get Auto Insurance information delivered directly to your inbox.